Forbes business magazine releases its list of 100 most powerful people every year from different sectors of business. In the year 2017, it listed top 100 powerful women mastering fields like banking, technology, healthcare, media, entertainment etc. As a matter of pride for India, over five of them were Indians. The following is a list of these successful women. The first on the list is ICICI bank’s CEO Chanda Kochhar at 32nd rank jumping eight steps higher than last year’s 40th. Mrs Kochhar hails from Jodhpur, did her schooling in St. Angela Sophia School, Jaipur and later moved to Mumbai for her graduation in B.Com from Jai Hind College. She started her career in 1984 as a management trainee at ICICI Bank after completing her management studies from Jamnalal Bajaj Institute. 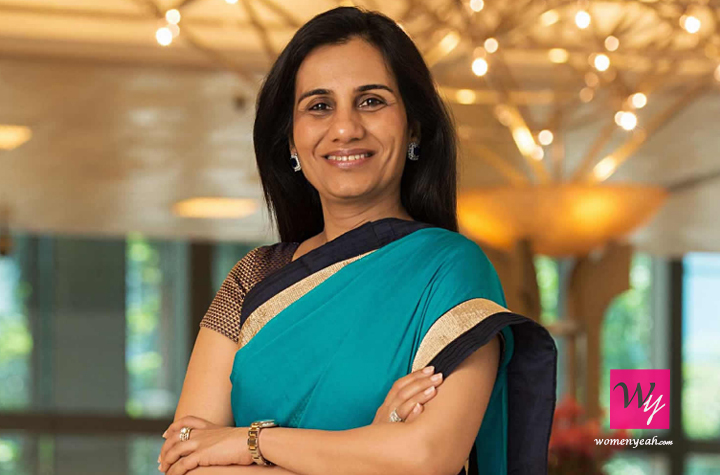 After serving for almost 25 years she became the director and CEO of ICICI bank and still at 55 she holds her strong position. She ruled the financial markets and became the first women to enter the Forbes Most Powerful Women List in 2010. She was the first Indian woman to receive the Woodrow Wilson Award for Global Corporate Citizenship in 2016. She was awarded ABLF Woman of Power Award (India) at the Asian Business Leadership Forum Awards in 2011. She has received India’s highest civilian award Padma Bhushan in 2011. She has featured in Business Today’s Most Powerful Women – Hall of Fame list and Bloomberg Markets’ 50 Most Influential People in Global Finance list in 2011. She was also nominated in Time magazine’s “100 Most Influential People in the World” and ranked first on the “Fortune List of 100 Most Powerful Women in the Asia Pacific” in 2015. 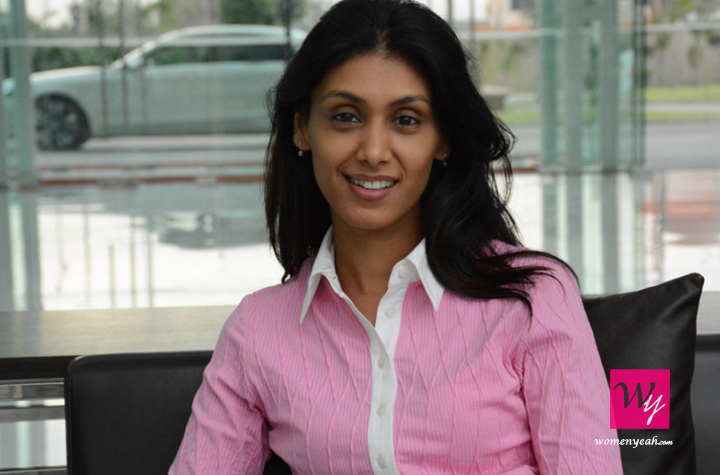 Second, on the list is HCL Enterprise’s Chairman CEO Roshni Nadar Malhotra ranked at number 57 and daughter of the Chairman Shiv Nadar. Roshni grew up in Delhi, did her schooling from Vasant Valley School and graduated from Northwestern University majoring in Communication with a focus on Radio, TV & Film. The trained classical musician also pursued her Masters in Business Administration from the Kellogg School of Management. Within a year of her joining the HCL, she became the executive director and CEO. She has been awarded as NDTV’s Young Philanthropist of the Year 2014 and Vogue India’s ‘Philanthropist of the Year’ award. The Nadar daughter also oversees educational initiatives Shiv Nadar Foundation as its trustee and also is the chairman of Vidya Gyan Leadership Academy. She has received numerous awards and recognition for her leadership role in the field of philanthropy. Chairman and Managing Director of Biocon Limited Kiran Mazumdar-Shaw is at number 71. This Biotechnology pioneer was the only woman to study Malting and Brewing course in Australia's Federation University in 1974. After several shifts from Melbourne to Kolkata to Baroda, she got an opportunity to start a joint venture with Ireland's Biocon Biochemicals Limited to establish the Indian arm. 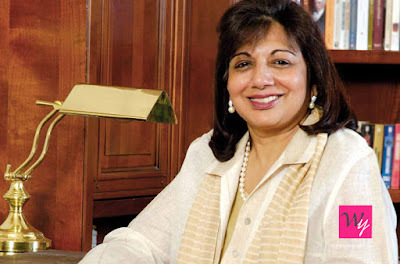 Thus Biocon began its operations in India in Ms Shaw’s rented house in Bengaluru in 1978. Since then, there has been no looking back. She is the elected chairperson of the Indian Institute of Management Bengaluru. Apart from making to the Forbe’s list, she was also Time Magazine's 100 most influential people in the world and in The Financial Times “Top 50 Women in Business” list. In the span of 20 years, she single-handedly was able to get independent control of the biotechnology company. She has developed cost-effective techniques and lower cost alternatives for affordable healthcare. She promoted the development of Arogya Raksha Yojana with Devi Shetty of Narayana Hrudayalaya to establish clinics for generic medicines and basic tests for those who cannot afford them. She provided treatment for over 300,000 people in 2010. After losing her best friend, husband and mother of cancer, she set up 1,400-bed cancer care centre named the Mazumdar-Shaw Medical Foundation at the Narayana Health City campus in Bengaluru in 2009. 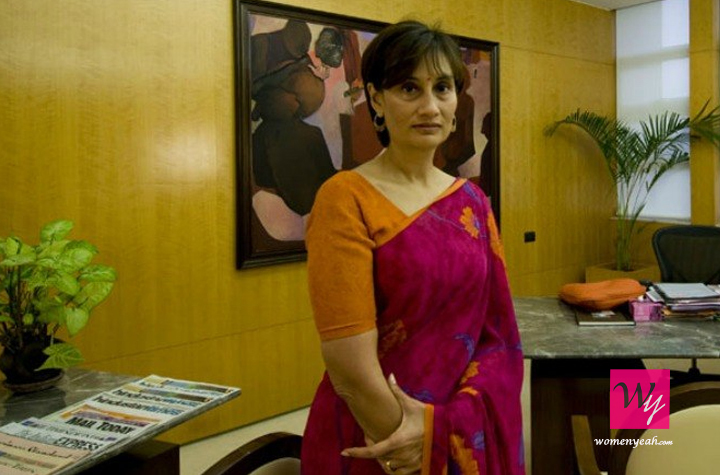 The Chairperson and Editorial Director of the Hindustan Times Group, Shobhana Bhartia is at number 92. She grew up in Kolkata and studied at Loreto House and graduated from Calcutta University. The daughter of industrialist KK Birla, she inherited the Hindustan Times Group and became the first woman chief executive of a national newspaper in 1986. Under her editorial vision and leadership, the company became one of the leading media houses in the country. She also served as a nominated member of the Rajya Sabha from 2006 to 2012. She was one of the visionaries behind the transformation of Hindustan Times ‘into a bright, young paper.’ She raised over Rs. 4 billion through a public equity launch of HT Media in September 2005. The 65-year-old has received many awards including the Global Leader of Tomorrow award from the World Economic Forum in 1996, Outstanding Business Woman of the Year in 2001 by PHD Chamber of Commerce & Industry, and National Press India Award in 1992. She was one of the first Padma Shri award nominees in 2005 for journalism. 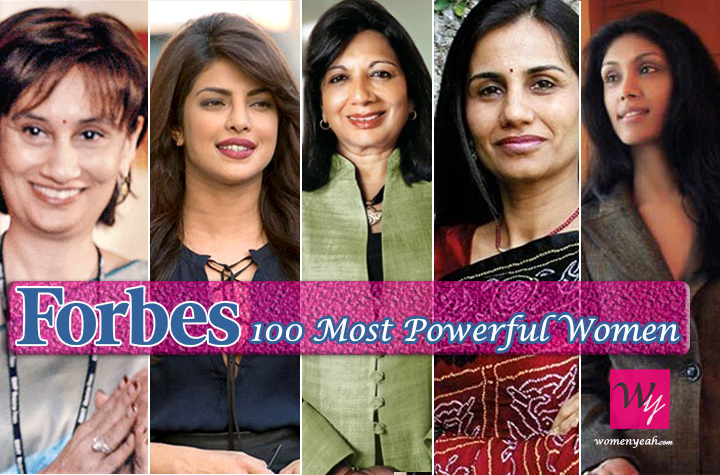 The Indian Actress, Singer, Film Producer and philanthropist Priyanka Chopra ranks at number 97. The 36-year-old actress rose to fame after winning the Miss World pageant in 2000. She then entered the Indian film industry and established herself as an outstanding actor, winning National Film Award as Best Actress in 2008 for her film Fashion. She also won 5 Filmfare Awards. With her role in the ABC thriller drama Quantico, she became the first Indian actresses to lead a drama series on American television. Ms Chopra has been part with UNICEF for a decade and has been their Goodwill Ambassador for Child Rights twice. The Government of India conferred upon her the prestigious Padma Shri, the fourth highest civilian award in 2016. Time Magazine featured her on the 100 most influential people in the world list. Her late father was her influencer in her singer and encouraged her to pursue it. Her first recording was the song “Ullathai Killathe” in the Tamil film Thamizhan (2002) and she also recorded her four Hollywood pop singles which became a massive hit among the Indian and the overseas audience. She also found her production company Purple Pebble Pictures which released critically acclaimed Marathi film Ventilator. She also released a promotional song ‘Baba’ in the film which she dedicated to her late father Mr Ashok Chopra. She was rumoured of dating the American singer Nick Jonas but it was confirmed when the pictures of their engagement came out.